If the sky’s clear and you look up there’s a slim chance you’ll see a small purple and white plane flying back and forth, especially if you live in an area at risk of flooding or along the coast. But who are they and what are they doing? We are the Environment Agency’s remote sensing team and it's our job to capture aerial survey data of England, which is used for, amongst other things flood mapping and environmental monitoring. Simply put, remote sensing is the capture of data of an environment without direct contact. 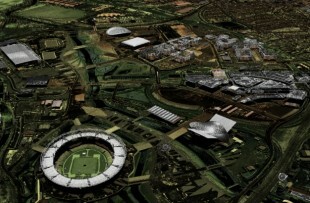 Techniques vary from the very simple, such as aerial photography, to the more complex like laser scanning (LIDAR) for terrain modelling. 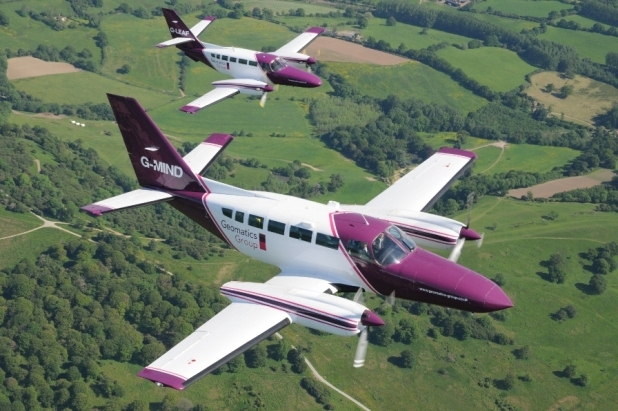 We operate two light aircraft from East Midlands airport; a Cessna 404 (G-MIND) and a Cessna 406 (G-LEAF). Our small team of aerial surveyors work shifts covering 24/7, 365 days of the year and spend on average over 1,000 hours per year in the air capturing high resolution digital photography and LIDAR (Light Detection & Ranging) data around the country. Last year we surveyed over 15,000 km squared of England’s urban areas, coastal zones and rural river plains. Each survey aircraft is equipped with a range of instrumentation, which allows us to take high resolution images for ongoing monitoring as well as emergency response work, such as during the floods of January and February 2014. Capturing aerial survey data is obviously highly dependent on the weather. Bright, clear days with minimal cloud cover are ideal, but obviously the fickle English climate can often disrupt flying schedules. To add to the planning complications, LIDAR data is typically captured in the winter months when leaf cover is at a minimum. This is to ensure our height data is as accurate as possible for flood modelling purposes. British winters and bright clear days are two things not normally associated with each other. LIDAR data can be captured day or night and due to the vagaries of British weather, flying opportunities can be limited. The team are always on standby to take advantage of weather opportunities, regardless of time or day! Each year before the new flying season starts in the late Autumn, our aerial surveyors get together with our projects team to prepare and plan the year ahead. Flight Planning is a substantial task, with on average 80 projects/survey locations to organise each year. CAA Air Charts need to be thoroughly checked so that the hundreds of flight lines required for each block of work fits within controlled air space and that there are no restrictions. In addition to flight planning, the team also need to set-up the aircraft and test the aerial scanners, data servers and IT systems, to ensure they are working at their optimum performance. For Flood Risk Modelling & Forecasting the Agency requires data of the best accuracies possible, so it is essential that the scanners are calibrated and the sensors are functioning correctly. This image was captured by a Cessna whilst flying over the Olympic Park, London. Once the flying season is under way, it is all systems go to ensure LIDAR data is captured before the leaves return to the trees. This can often mean odd working hours including nights (LIDAR is a laser scanner and does not require daylight to work) to fit in with good weather conditions. In the summer when we capture aerial photography and other optical data, flying days can be long to make the most of any clear spells of weather. Our survey team get the opportunity to see the country in a way that very few people do and the incredible imagery and data that they capture is used daily to support the environment and help reduce flood risk. You can find out more about Remote Sensing within the Agency and access LIDAR data at http://environment.data.gov.uk/ds/survey/. Or follow us on Twitter and Facebook. Do the Environment agency employ the pilots as well as the survey specialists? Please use the link to GOV.UK and use the procurement link there is information regarding this work with us and contact details for you to follow. I appreciate it's a job that needs doing but what a damn nuisance buzzing round and round in circles at half past midnight at 5000ft. Just drop off and he comes round again, drop off and he comes round again Very annoying. Why doesn't even a Government agency know how to use an apostrophe? Expect higher standards from the Civil Service. I totally agree with you regarding apostrophes and the use but would it be better not to use at all, it is only laziness to shorten two words into one? It is really amazing that there's a team which help us in terms of calamaties. I could'nt agree more that drones are very useful nowadays on LIDAR for terrain mapping, aerial mapping, search and rescue as well as making an aerial survey. Drones are very useful that it can also save a life as it can locate you from above! God Bless to this Environment Agency. Keep doing a good work! Is there any special condition taken as regards the LiDAR survey of intertidal regions, like flight surveys at low tides? Thanks Susan for posting this article. It's really an amazing aerial photo and i love the fact that this environmental agency is doing a great stuff in their job. Doing this kind of work like flood-mapping and environmental monitoring is awesome as it can really help a lot to people. Keep it up and God bless you! We're you flying around the Wells,Somerset area between 01.00 hrs and 03.00hrs on 06'04'15 ? Hello Alan, Apologies for the delay in responding to your query. We can advise that yes, we were flying over the Somerset Levels in our aircraft G-MIND in the early hours of 6th April. Just a small point; the plural of Cessna is Cessnas, not Cessna's - the latter would indicate possession! Is there any chance of you letting us know what G-MIND was up to last night (25/2/16)? It did many low passes over Holmfirth, Greenfield and surrounding areas around midnight. There is much moaning on the local facebook pages about being kept awake. Was the C404 down around Lands End tonight about 0015Z? Did you really mean '15,000 km squared'? 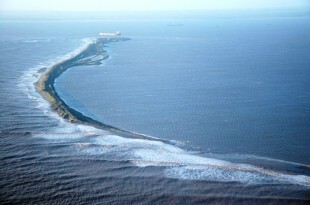 That's 225,000,000 sq km, nearly 10 times the area of the UK. Are you currently flying over Shipley in West Yorkshire thenlast couple of nights ? Lovely to hear the Cessna over Croydon heading south, off to coastal zones no doubt! Photographed your aircraft over North Somerset recently. Are the black squares in the floor just behind the wings where the photographs are taken ? Hello, Drone technologies have been used by the Environment Agency for a wide variety of applications. For example to assess an inaccessible river breach during a flood incident, to monitor river pollution (see recent episode of Countryfile http://www.bbc.co.uk/iplayer/episode/b0852dd9/countryfile-lincolnshire) and to assess flood defence assets. Yes, there are two camera holes on each aircraft where the sensors are mounted. We would love to see these photographs if you would be happy to share. Our email address is geomatics_data@environment-agency.gov.uk. Is your company aircraft currently above the north east of England? I was wondering what it was doing. Hi guys. We heard you overhead around midnight last night Saturday 25th and then picked you up on Flightradar24. Looks like you spent the best part of four hours going round and round an area roughly centred on Bury St Edmunds? I thought you mostly did river flood and coastal defence surveys. Is Bury St Edmunds now becoming a flood zone? I also like the little squiggle (pig-tail) towards Sudbury. Did you just get bored of going round and round that racetrack pattern for hours and take a small diversion? I need to do some Night Flying soon. Is it worth coming over to East Midlands? Is anything open when I land? Was that you in G-mind 00.15 over Kent tonight? Did G-LEAF really need to fly over central Birmingham at 3am? How many people must it have woken?